There has been an emerging trend for quite a while now---of businessmen hopping into politics, or politicians hopping into business. We saw it with the likes of Cyril Ramaphosa, Tokyo Sexwale, and more recently with the American tycoon Donald Trump, who is currently running for president in the United States of America. 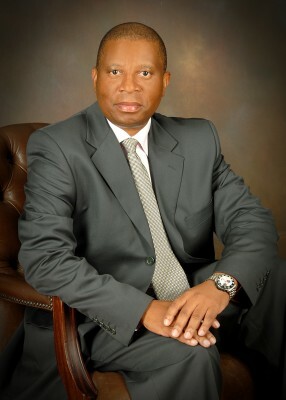 In December last year Black Like Me founder, philanthropist Herman Mashaba, followed in their footsteps when he availed himself as City of Johannesburg Mayoral Candidate on behalf of Democratic Alliance (DA). 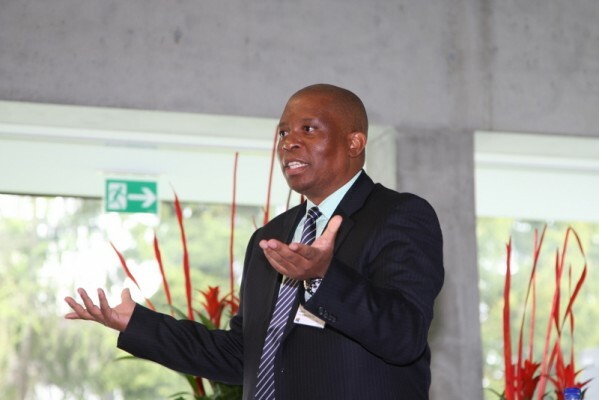 Mashaba, who took part in the second edition of the popular The Glenlivet Legacy Talks (a hugely successful platform for living legends and legends-in-the-making to share their stories) where he focused on his journey, creating his legacy as a business leader in South Africa. 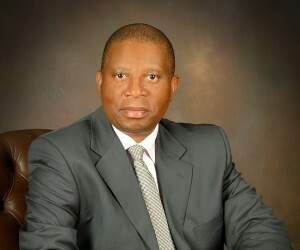 The charismatic Mashaba, who is greatly admired for the courage he demonstrated in rising above his humble youth to create the Black Like Me hair care empire, is one of South Africa’s earliest black entrepreneurs who now runs his own successful investment company, Lephatsi Investments. He is widely regarded as one of the country’s most respected businessmen and his phenomenal rise from modest beginnings, coupled with his determination and vision, undoubtedly set him apart as a leader of great stature. When he recently announced ahead of the upcoming Local Government elections, that he intends to take the city and save it from mismanagement and ruin, we could not stop wondering what prompted his move into the world of politics. In an exclusive interview with BBQ, he explains it all. You resigned from your position as chairman of Free Market Foundation in May 2014 and availed yourself as City of Johannesburg Mayoral Candidate on behalf of the Democratic Alliance (DA). What inspired that move and what do you hope to achieve? After the 2014 national elections, with the ANC achieving 62% voter support, using racial division as their card, I felt the need to challenge such a dangerous future for our country. I stopped voting for the ANC after the 1999 elections, with their policies no longer appealing to me. I have since being a DA voter, and wanted South Africa and the world to know and respect my decision. DA policies and values resonate with mine. I resigned as chairman of the Free Market Foundation because I wanted to preserve and protect the independence of the foundation. You joined the DA in May 2014. What drew your interest into the world of politics? I made myself available to the DA as their Mayoral Candidate for the City of Johannesburg to facilitate taking the city and saving it from mismanagement and ruin. The people of Johannesburg and of South Africa deserve a better managed city to propel economic recovery of the country. If Johannesburg works, South Africa will work. Why did you join DA specifically? It is the only party that can unite South Africans and help to advance and protect Nelson Mandela’s legacy. It is the only party with economic policies that can grow our economy and arrest the spiral of unemployment in the country. What would you say are the characteristics that make one a success in business---and how would you apply that, should you become mayor of the City of Joburg? You need to believe in yourself and your ability as an individual. Don’t buy into agendas of other people without full understanding of their motives. Work as part of a team with others, but remain independent as an individual. I intend running the City of Johannesburg with like-minded South Africans who care for others and are willing to serve. There are many businessmen around the world who are entering the world of politics. Why do you think this new trend has emerged? Politics are currently dominated by self-serving, greedy and corrupt individuals. We need to restore pride in our civil service. If you can win the race and ultimately become the Mayor of the City of Johannesburg, what will be the first thing that you will do for the people of Joburg? I will give the power back to civil society, and get all civil servants to be public servants. We will serve the people of Johannesburg with pride. You also alluded in the media recently that racially based policies redress past injustices, but that can only be done in a functioning economy; if that's the case---are you saying that the South African economy is not functioning? For South Africa to be able to redress the ills of the apartheid era, we need a growing and inclusive economy. We need a small and accountable government. We need business friendly policies, particularly small business. We need the business community to be the drivers of the economy, not Government. Government must play a role as enabler, not as a player. Following extensive reports in the media about corruption in all spheres of government, in your opinion, how can that be remedied or alleviated? We need to bring back independent criminal justice structures. The Scorpions need to be reinstated as a matter of urgency. Corruption must be declared public enemy number one. How would you convince people in townships like Soweto and others to vote for you, particularly hence you contest on behalf of DA? Voters must vote for political parties on the basis of their policies. That is what I am selling to them. Voters are beginning to realise this important trend. It’s not about political promises and lies. In your opinion, what are the qualities that make for a good mayor? A good mayor is someone who takes the office to serve society, not someone who is self-serving. What does leadership mean to you and how would you apply it if you can win the race and become a mayor? Leadership is about preparedness to serve---and honesty. How do you feel about transformation in local government, and how do you project the future for local government? The entire country needs to transform, but we can only effect sustainable transformation in a growing economy. I intend using the city of Johannesburg as a vehicle to drive the economy of South Africa. They say politics is the dirty game. What is your opinion on that? Politics only becomes dirty when civil society abdicate its responsibility to make politicians accountable. 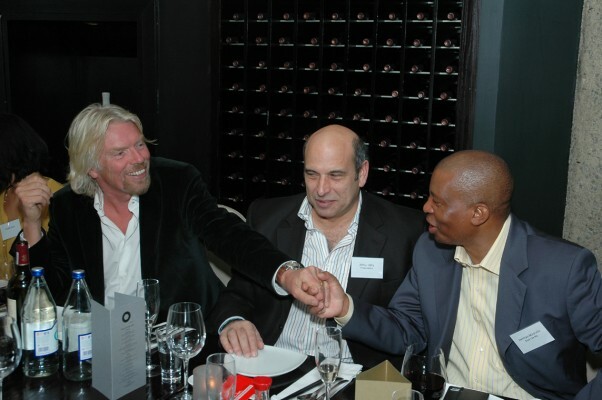 You have built a successful business during a restrictive time in South Africa’s history. What motivated you to break through the boundaries and restrictions of the time? I have always believed in personal freedom and responsibility. Self-reliance is important. I have always believed in not respecting unjust and unfair laws. What is your response to failure, and how has this helped you on the road to success? Your chances of failure are informed by your belief in failure. I am a stronger believer in positive thinking. My brain is always focused on success in whatever I do, not what other people think and wish for me. What has been your greatest driving force over the years? I believe in hard work and long-term planning. I have no time and room for short-cuts. What is the most valuable piece of advice you would give people starting their own businesses today in our tough economic climate? Have strong belief in yourself and your ability. Who or what has been your inspiration behind building your legacy? How important is mentorship to you? It is only important when it is available. If you don’t have mentors and people to look up to, play that role yourself. Don’t wait for other people. Did you have any great mentors on your road to success? Walter Dube (former business partner) played that role, to some extent. Africa deserve citizens that should leave a positive and tangible legacies, not just talk. I really wish to be known as someone who valued personal liberty.